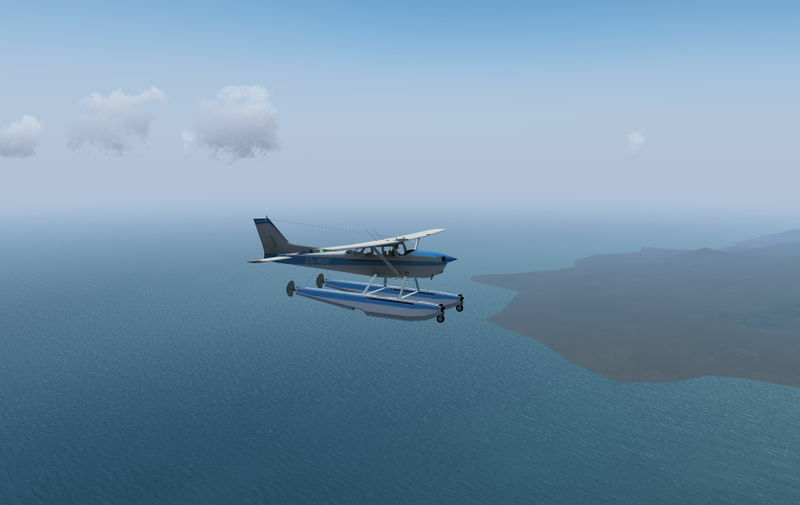 On the 17th of June, the FlightGear development stream will be declared frozen. This means that, from that date onwards, no new features or major changes shall be pushed onto the development streams (neither source nor data). This period is for preparing the code for the upcoming 3.6 release (August 17) and make sure there are no major issues. It lasts for four weeks until creation of the release branches (July 17). It is a good idea for aircraft developers to adhere to this rule. However, aircraft in FGAddon may be handled as an exception from the frozen state. Also, aircraft defined as part of the base package (the c172p and ufo) enter the frozen state and shall not undergo major changes in that period. See our Release plan for more details on the procedures leading to a release. The latest addition to the Atmospheric Light Scattering framework is a procedural shader effect to render thruster and afterburner exhaust flames. 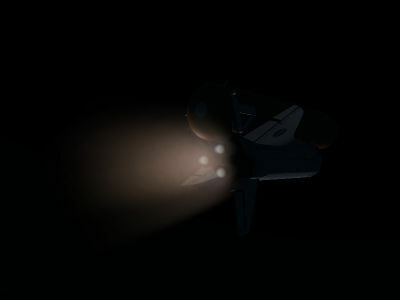 This effect integrates over a 3d-distribution of glowing emitters in a bounding box, which means that it doesn't generate sharp edges in the visuals. Flame color, density, distribution of shock diamonds and widening in thin atmosphere are all runtime configurable, allowing to account realistically for changes in thrust or ambient pressure. 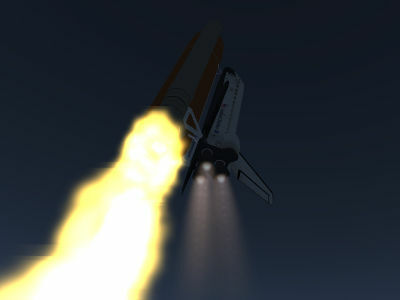 In the example application for the Space Shuttle main engine below, note how the exhaust plume is narrow and shows pronounced shock diamonds early on, while it widens in the thin upper atmosphere. User sanhozay, as part of the development of the Lockheed Constellation, has developed a new script that automatically exceutes checklist bindings in sequence. The script enables aircraft developers to execute checklists from any Nasal script. The script can be seen in action on the latest Lockheed Constellation from FGAddon, although you will need the latest copy of FGData (or a copy of autochecklist.nas). You can find out more at Aircraft Checklists#Automated checklist execution. Thanks to some brilliant work on the submodel system by Onox, it is now possible to adjust various offsets, including heading and pitch, during runtime. Furthermore, the x, y, and z offsets are also now defined in metric units. Finally, the randomness of the azimuth (heading), elevation (pitch), Cd (Coefficient of drag), and life can be defined. You can find out more at Howto:Add submodels. The sound subsystem has been given some fixes so that the distance between the position of the current view and the sound's position is now computed more correctly. Using the Canvas GUI and the Nasal HTTP module, you can make a simple tiled map (shown below) using images downloaded on the fly. You can find out more at Canvas Snippets#A simple tile map. ATC-pie now provides a solo training mode for ATCs. 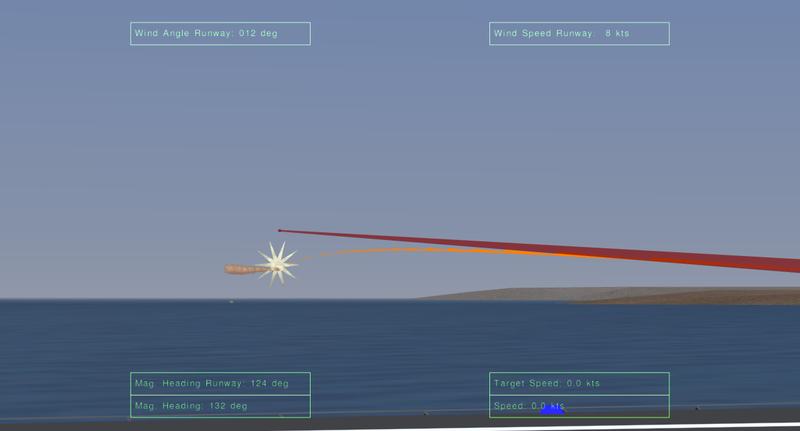 Using the same interface as the multiplayer game mode and an additional instruction pane, you can choose to play offline and control virtual aircraft as Tower, Approach, Departure, or any combination of those positions. As MP traffic still can be scarce in many occasions on our network, this new game mode can be a solution for you not to give up on a planned session and give yourself some challenge. Also, you may learn from it enough to make your own MP sessions more popular over the network! Familiar with building FlightGear from source. Having access to Linux and/or Windows (alternatively, via emulation or virtualization) to help with testing or developing these cross-compiled binaries. Familiar with CMake, the GNU build system, or GCC (GNU Compiler Collection) internals. To show your interest, please leave your system specs (e.g., OS, distribution) on the forum thread so a list can be made of people with the necessary skillset. Note Most testing/development is currently taking place on Ubuntu 14.04. If you have a different distribution, you should be prepared to do some integration/porting work. Investigating porting poweroftwo's autobuilder to use MXE for building a patched version of SimGear/FlightGear including osgEarth support. For details and updates, please refer to Building FlightGear - Cross Compiling. The Scenery Project Elba has been started, aiming at improving the scenery of Elba, an island west of Italy. You can find out more on the wiki page and the forum development thread. Contributions are welcome! This project is released under the GNU GPL, and will hopefully be included in World Scenery 2.0 via TerraSync! This airport may be downloaded from GitHub along with TNCM which has been fixed by legoboyvdlp with a quick-n-dirty hack to stop flooding. ↑ sanhozay (May 1st, 2015). Automated Checklist Execution. ↑ Hooray (May 31st, 2015). Dual Linux/Windows users:Cross-compiling FG/osgEarth for Win. This page was last modified on 6 July 2015, at 09:35.